A fun, sweet cereal snack mix infused with the rich, creaminess and warm, comforting spices of a Chai tea latte. Make sure you double it for a party. 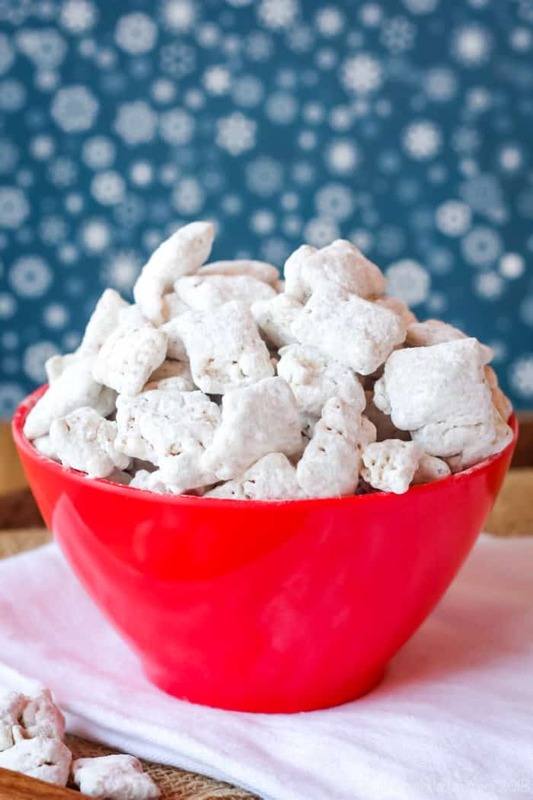 White Chocolate Puppy Chow is infused with the warm, comforting spices of a Chai tea latte for a fun, no-bake Chex mix. 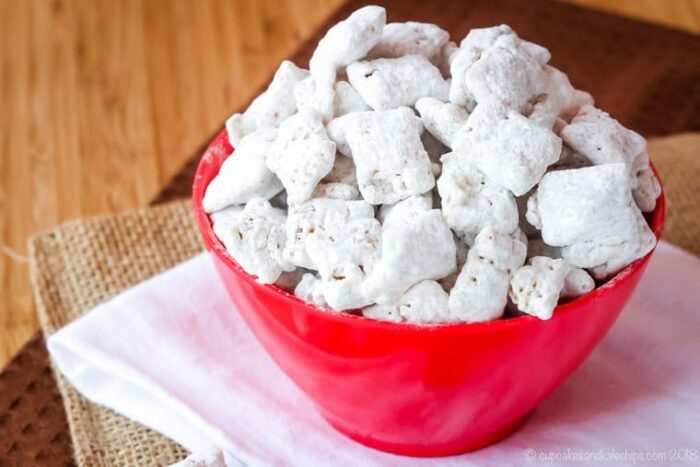 Whether you call it White Chocolate Muddy Buddies or Puppy Chow, this version of everyone’s favorite sweet snack mix has the flavors you crave in winter, but there’s no need to heat up the kitchen to make it even if you want it in the summer. 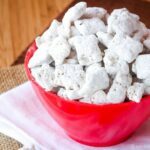 That’s why one of the best gluten-free no-bake dessert recipes is this Chai Tea White Chocolate Puppy Chow recipe! That Abominable Snow Monster is a pesky fellow. He really had Rudolph, Herbie, Yukon Cornelius and all of those misfits in a tizzy. He had me in quite a tizzy, too. I guess some people still use eBay to buy and sell stuff, but it was in its heyday when I was in college. Or maybe it just seemed like it was in its heyday because I had no money, and if I could score jeans for five bucks, or a super stylish translucent blue cover for my Nokia non-smart, non-flip, non-camera cellphone for three bucks, or a blue star-shaped belly ring (yup, I had my belly button pierced) for eight bucks, I was all in. Whatever random thing I wanted, there was bound to be someone selling it, and selling it cheap. Well, one day just after Christmas I was in CVS, and they had this entire set of twelve super-cute ornaments of the characters from Rudolph. My favorite Christmas movie! 75% off of $5.99?! A buck fifty each?! These were bound to be collectibles! I had to have them. But who could I not find? The Abominable Snow Monster. After Rudolph, the most quintessential character from the show. In fact, some people might argue that he IS the star, but Rudolph only gets top billing because his name is in the title. There was no way I could NOT have him as part of the set. I know, I know… EBAY!!! So as soon as I got back to my dorm, I immediately began searching eBay for “CVS Abominable Ornament”. Yup, I found some, alright. To the tune of about fifteen dollars after shipping. Might I remind you that the original price for each of the ornaments was $5.99? And that I got the ENTIRE SET (minus The Bumble, of course) for around $16.50?! Was I insane? I was eating Frosted Flakes and Ramen noodles (OK, I’m lying, but just trying to make a point), and I was going to buy a fifteen dollar Bumble ornament? Umm, yeah!! You know what, though? It may have been silly and overpriced, but that set of ornaments is the first thing I put on my tree every year. I just love them. Some teas are wonderful on their own, or maybe with just a touch of honey or a small splash of milk. However, Chai tea lends itself towards combining those warm spices with something rich, sweet and creamy, just like the ever-popular Chai tea latte. So that makes it a perfect match to be infused into the white chocolate and then coated in powdered sugar. 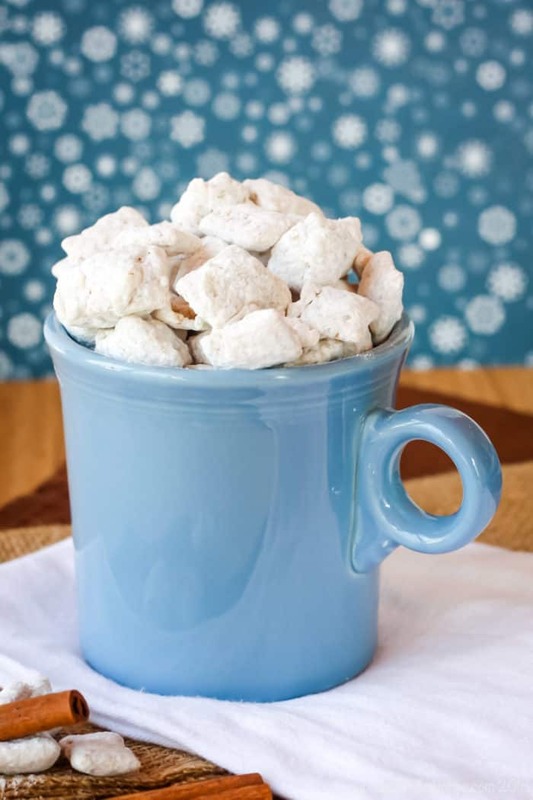 This Chai Tea White Chocolate Puppy Chow is like a latte you can eat. 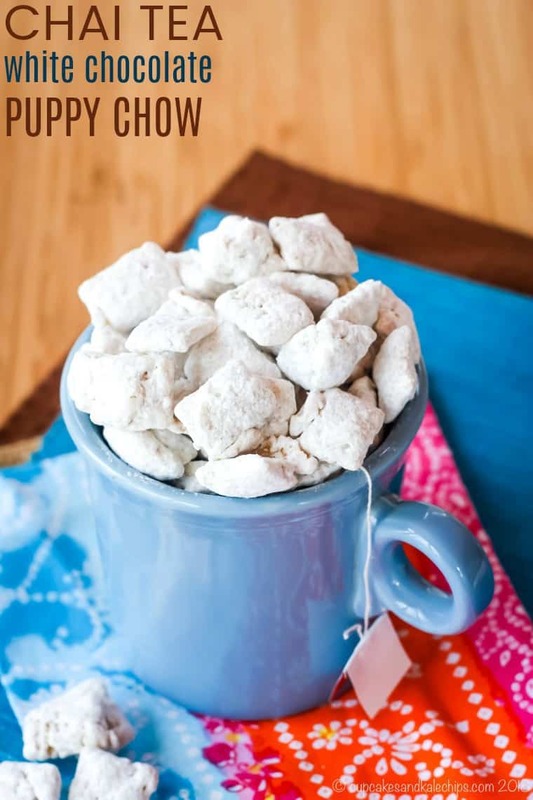 How do you make Chai Tea White Chocolate Puppy Chow? Place powdered sugar in a clean plastic food storage bag. Open up a Chai tea bag and pour out the leaves into a bowl with some white chocolate chips. Melt everything together, pour it over the cereal, and toss to coat. Then transfer the cereal mixture to the bag and toss in the powdered sugar. Then eat. And eat. Because these “muddy buddies” or “puppy chow” or “snack mix” – whatever you want to call them – are seriously snackable. Whip up a batch of these Chai White Chocolate Muddy Buddies and settle in to watch your favorite holiday movie. Is White Chocolate Puppy Chow gluten-free? White chocolate chips – a few brands of white chocolate chips, including Ghirardelli, are not gluten-free. Be sure to read the labels. Generally Nestle Toll House White Chocolate Chips are gluten-free. Chai tea bags – this recipe calls for the leaves and spices from a Chai tea bag or loose Chai tea, not a powdered Chai drink mix, as those can contain gluten. One thing I recently learned is that some herbal teas contain gluten, as can the glue in a tea bag. But there are plenty of safe options out there, so just do your research. Recent reports are that Celestial Seasonings, Lipton, The Republic of Tea, and more are gluten-free, but this can always change. So make sure your information is up-to-date before you make these Chai tea muddy buddies. What else can you make with white chocolate? 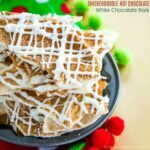 And if you like Chai white chocolate muddy buddies, you’ll love all of these Muddy Buddies Recipes. 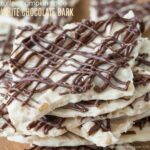 These white chocolate muddy buddies with the creamy flavors and warm spices of a Chai tea latte will be a favorite snack mix any time of the year. With only four ingredients and a few minutes of prep time, this easy sweet Chex mix might just disappear faster than you can make it. Place powdered sugar in a large plastic zip top bag and set aside. Place Chex in a large bowl and set aside. Crush or grind the tea slightly, and add to a bowl with the white chocolate chips. Melt white chocolate gently in the microwave (50% power, stirring after each 15-30 second interval until melted) or over a pot of gently simmering water. Pour melted chocolate over the Chex cereal and toss gently with a spatula until the cereal is completely coated. Transfer the cereal to the bag with the powdered sugar, seal bag and toss to coat completely with the powdered sugar. Empty the contents of the bag onto a sheet pan lined with wax paper or a silicone baking sheet to allow to cool and firm up. oh yes, amazing sounds and delicious “chai tea snow muddy buddies”. They are delicious! I hope you have a chance to try the recipe! Oh wow, I love chai anything, definitely have to try these! Thanks for sharing at Creativity Unleashed, pinning this! Chai is such a great flavor – comforting in the winter. Hi Brianne! Happy 2014!!! This looks so good, I might whip a small batch not to break my new year’s resolution of loosing a few pounds (yeah I know, let’s see how long that lasts. lol) thanks for sharing your twist on muddy buddies, Chai Tea, genius!!!! 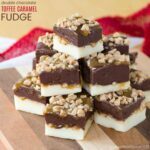 This recipe does lend it self to making smaller or bigger batches, so it is perfect! But addictive, so good to make just a bit! I think the flavor of Chai is perfect to add to so many things. Thanks! Such a cute idea! And those ornaments are adorable. I love the stories that go along with these Christmas traditions! I would never have thought to toss the tea from a chai tea bag into puppy chow to give the chai flavor. Brilliant! This sounds perfect for Christmas (or any time for that matter)! Your snow buddies sounds like the perfect sweet snack! How adorable and creative is this!?? This is perfect to leave out for uests! I never know what to call this snack mix, either! I like your snow buddy idea, and I especially like that you used chai tea spices – my favorite! Oh yum! 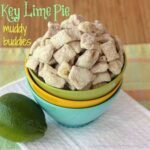 I still haven’t made any type of puppy chow or muddy buddies but this one is definitely swaying me to make some! I love these! Seriously what a great idea. But you always have some great recipes. I think you made a worthwhile ornament investment. Such a genius version of puppy chow! Love it. I don’t blame you for paying a little extra to get the ornaments. Some things are worth more than the price! Yum, Brianne, these sound sooooo good. I’m sure I’d eat it all snuggled up watching Christmas movies! Great looking recipe Brianne! I can see myself eating a bunch of this! Happy Holidays! These muddy buddies sound just amazing! Merry Christmas to you and your beautiful family. Enjoy those little cuties! Thank you for being such a big part of the Sunday Supper Family! How cute!!!! I love the Abominable Snow Monster too 🙂 And your goodies look delicious! I love chai, Brianne! This is on my must make list! I just love that nice Abominable Snowman guy, he was o friendly! The girls have never seen that one so I must find us a copy. And we are already making tons of Chex Mix this weekend, this one will have to go on the list! Love it! lol, I love the snow monster! That is such a classic movie and your snow muddy buddies look delish! What a great combo of flavors! Gotta love Bumble. This snack mix looks so tasty. Pinned. Wow these sound like an addictive treat. That ornament was totally worth the $15 and I’d had paid the same for it too. What fun and what a great inspiration for your recipe. Thanks Renee. And I am happy to have the full set. Love your story, this movie was a classic growing up for us too and I enjoyed watching it with my daughter for the first time this year (even if she couldn’t sit still LOL) I love your snack, so easy yet so yummy! Thank you for sharing!! Happy Holidays! YUM! I’ve always wondered how to add chai flavor when you didn’t want to add any liquid…duh! Your muddy buddies look irresistible! I’ve seen people use the powdered chai mix, but I have done this before with cookies and it worked.